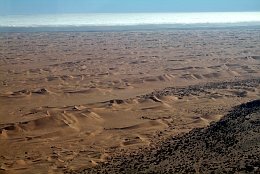 Moisture coming in from the Atlantic Ocean often causes fog over the Namib desert. 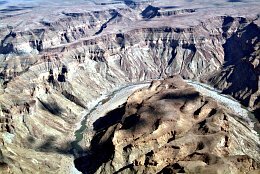 The Fishriver canyon is 160km long, 27km wide and 550 metres deep. 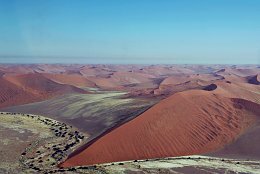 Sossusvlei is a salt pan within the Namib-Naukluft National Park. It is known for the high red sanddunes.